UV detectors for HPLC are used in several important applications, from elemental analysis to protein purification and beyond. 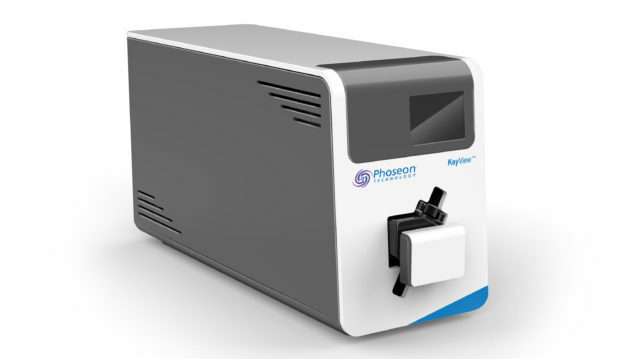 Phoseon's UV detectors are used with high performance liquid chromatography to detect and quantify analytes in the sample. These detectors use different UV wavelengths to measure the absorption and identify the analyte. In the 200 to 230 nm wavelength range, many analytical applications are limited by conventional light sources, such as deuterium arc lamps, which are low-intensity, hot, and offer limited stability. KeyView Smart Engine+ uses solid-state light sources to generate stable, cool, long-lasting light at 220 nm with intensity up to 1 mW and a coherent beam. Such a light source is ideal for many analytical applications. High performance UV LED solutions have enabled HPLC manufacturers to replace deuterium lamps and offer lower cost detectors for many applications. See available wavelengths and applications from Phoseon.